In the early 1990s, I went to Sievers for a class in rib-style willow basketmaking that changed my life. Driving home, I was astounded to see acres of wild willow growing where I had never noticed it before. A few years later, I planted my first bed. This versatile, sustainable crop now produces material for baskets, trellises and artist charcoal. It harbors birds and wildlife (sometimes more rabbits than I would prefer). In spring, the catkins attract and feed a wide range of insects. It even serves as a dandy snow fence. 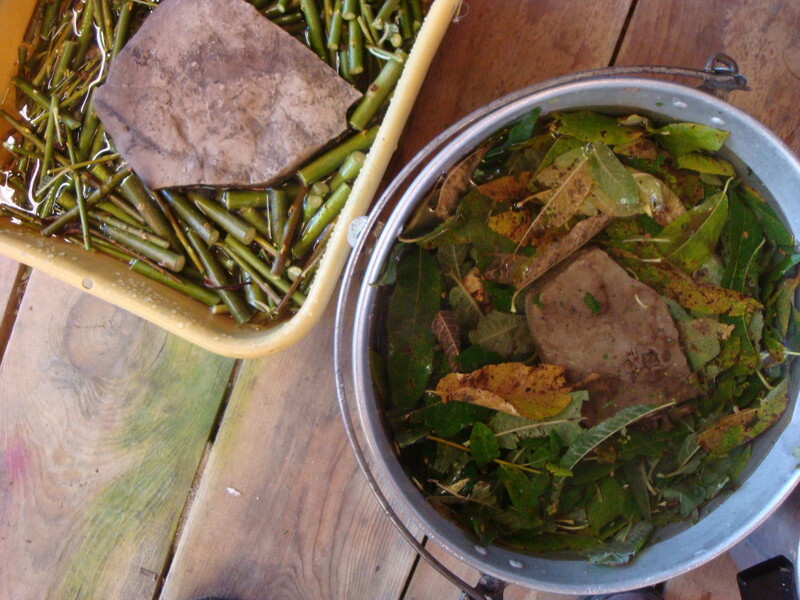 And dyes made from the leaves, stems and bark produce a range of colors on fabric and yarns. 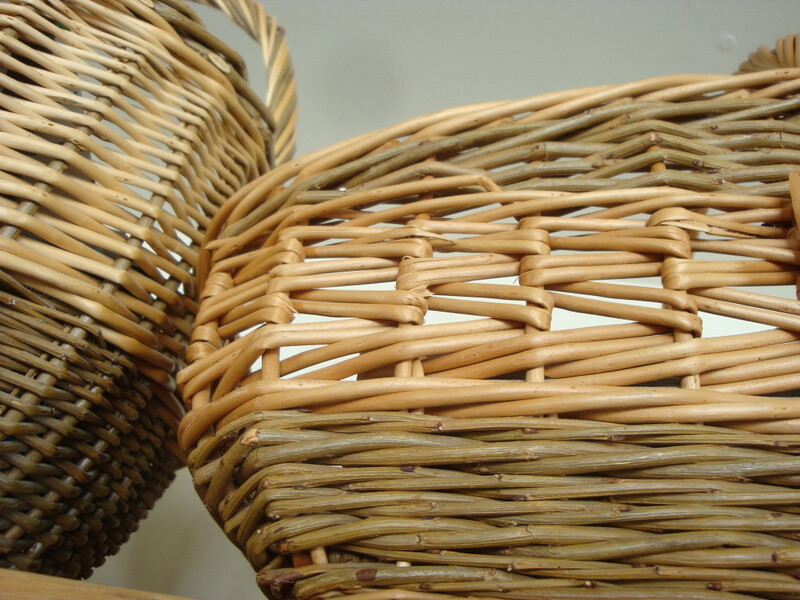 For basketmakers, it will come as no surprise that willow is a dandy natural dye. After all, it’s traditionally used in basketry to make “buff,” the willow that’s steamed or boiled to transfer color from the bark to the rod before the rod is peeled. Even in a small yard, you can grow a generous crop of willow. One willow shrub should produce enough material to make a couple of baskets and dye enough yarn to fill them. Every year you cut it down, and the next season the plant grows back. Many people think willow has to be planted in a wet spot. Not true. You often see it growing in swampy places, but that’s because it gets plenty of light there. 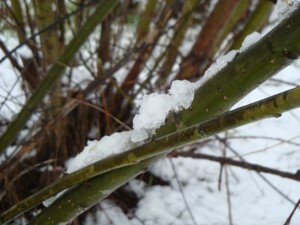 Willow does require adequate moisture until the plant is established. If you plant in a dry year, you might need to water and mulch. I always have, but my soil is almost all sand. 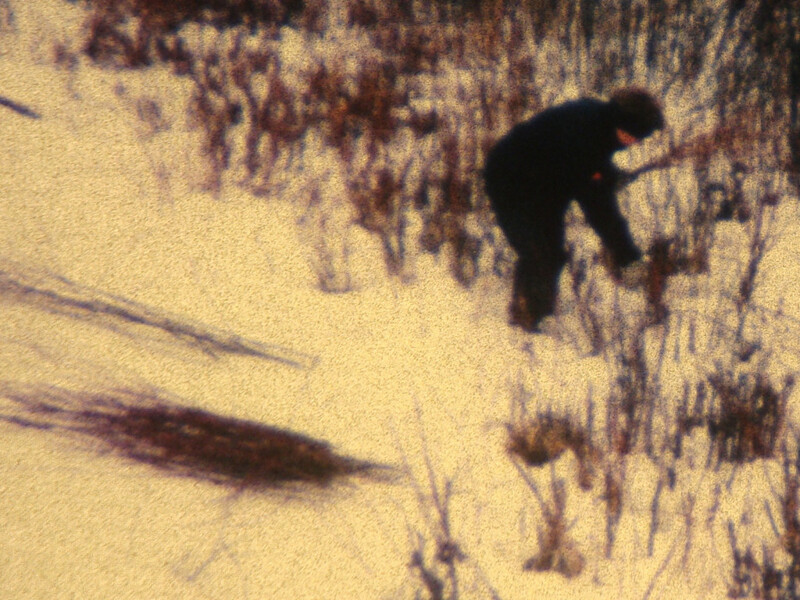 After the first season, about the only care willow takes is an annual cutting. And if you don’t have enough sun or space to grow your own, keep your eyes peeled for wild willow. You can often find it growing abundantly in ditches and agricultural bottom lands where landowners are often happy to give you permission to cut. 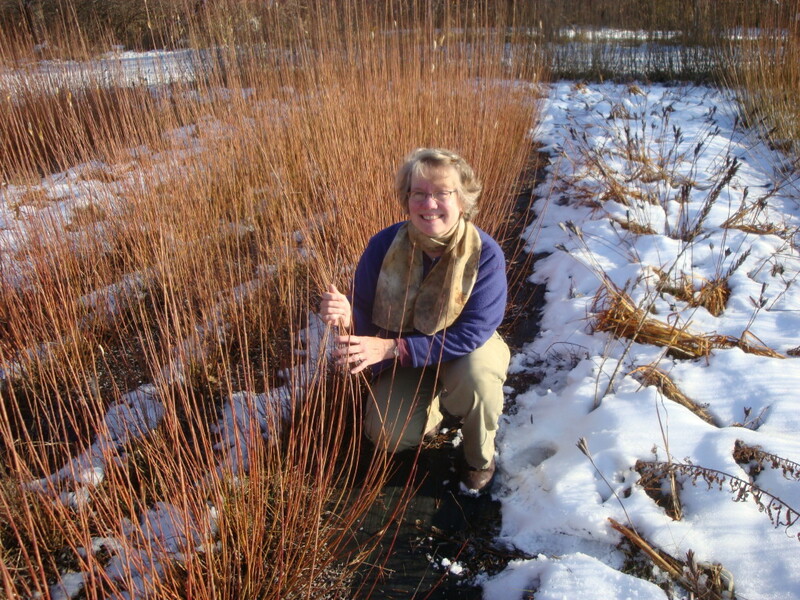 Learn more about how to gather, grow and use willow and other plants of the Upper Midwest in one of my natural dyeing workshops.